The portion explains the structure of the soul because it is all there is. Although we are living in the soul now, too, we feel and understand this world within the soul to a very limited degree, still (inanimate) degree. The portion tells us how to open up the soul, the Kli (vessel), and how to correct and expand it. This allows us to transcend the boundaries of this world. When we correct all the levels in the soul, namely the corrupt the desires, we open them up and discover within them the higher dimension, the upper world. Thus, in addition to our perception of this world, we also feel the upper world, as it is written, “You will see your world in your life.” The Torah was given to us in order to open ourselves up to the perception of the spiritual world, so we could live in both worlds through our present perception, through our bodies, until we understand that it isn’t really our body. Today, the entire world, the whole of humanity, is in a crisis. It is a stage of transitioning from the perception of this world into the perception of the additional, spiritual world. In conferences that discuss the future of the world, scientists and psychologists claim that the whole of humanity is in transition to a new perception. We therefore see that we are shifting to new laws and a new perception of reality. We should recognize that we do not have the power of the light that reforms, the Torah of light, namely the wisdom of Kabbalah, by which to achieve the correction of human nature. With the corrected nature we will see the new, expanded reality. When Moses arrives with Joshua at Mount Sinai, he leaves him below and ascends. He stays on the mountain for “forty days and forty nights” (Genesis, 7:4) in order to receive the power of the Torah. This is considered that he has risen a degree. Man is a small world. Therefore, we must come to see that the whole of reality is in us. Within us are all the laws, all the ordinances, the people of Israel, all the parts of our will to receive that we must arrange as the structure of the soul. We leave what is considered “Joshua” below, while Moses climbs to the top of the mountain. When we set up the picture correctly at the stage of our spiritual progress called “the portion, Mishpatim,” we advance toward attaining the goal of creation. In that state, we feel as one who is climbing up the mountain and is already in contact with the Creator. The portion details many rules, such as concerning Hebrew slaves, and meat and dairy foods. These are divided into to parts: between man and man, and between man and God. On the one hand, we say that everything is about relations between people. On the other hand, we say that everything is about connecting to the Creator; why do we make that division? All the rules were intended for the correction of the soul, meaning our will to receive. All that was created is the will to receive, and each of us is immersed in our own will to receive. The will to receive is divided into ten Sephirot: Keter, Hochma, Bina, Hesed, Gevura, Tifferet, Netzah, Hod, Yesod, and Malchut. It is also divided into three lines, into five Behinot (discernments), and into Aviut (thickness, levels of desire) Shoresh (root)-1-2-3-4. It contains everything. So how do we correct it and how do we approach the correction? The whole world is mistaken in that question. Everyone thinks that they understand what we need to do in life; this is why there are so many religions and belief systems. But none but real Kabbalists have any clear notion. In fact, our Torah is very simple. It is even written, “It is one, easy thing.” A person needs to join a group that engages only is in love of friends, and that this is its goal. If we are “as one man with one heart,” we will receive the Torah. 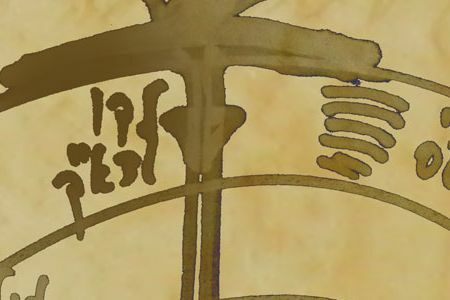 If we do not, here will be our burial, as it is written, “If you receive the Torah (law), very well; if you do not, there will it be your burial.” That is, everything relates to connection. There are two stages in love of humanity. First, there is “that which you hate, do not do to your friend.” Next, there is “love your neighbor as yourself … it is a great rule in the Torah.” Both stages are to be carried out in a group. In a group we learn all the rules concerning man and man. When we understand, know, and have mastered these laws, and can feel and sense them, we understand how to advance from the love of man to the love of God, the Creator. This is when we ascend to a state of “and you shall love the Lord your God with all your heart and with all your soul, and with all your might” (Deuteronomy, 6:5). In that state we acquire the mind, heart, understanding, and the inclination toward it when we engage in love of others. This is why we go from loving people into love of the Creator. There are rules concerning man and man, and there are rules concerning man and God. Why do we feel it is easier to observe the commandments concerning man and God? It is easier because when we perform Mitzvot concerning man and God we feel that we can say anything. It is enough to shove a note into a crack in the Wailing Wall in Jerusalem to calm ourselves. It is nice; we get no response; no one tells us if we are right or wrong, if it is enough or not. However, toward friends, relatives, general people, the nation, state, and humanity, we need to actually reach the goal—to scrutinize whether we love them or not. “Love” means that one takes the desires of others and satisfies them however one can, caring for them before caring for one’s own. This is the meaning of love. It is serving others in every way, instead of serving myself. Today it seems impossible, so it is easier to cover it up by saying, “Don’t worry, I get on with the Creator.” However, this leads us very far from the true Torah. Why did the Creator see fit to give the Dinim to Israel, meaning the portion Mishpatim [Ordinances], after the ten commandments? The Torah was given to Israel from the side of Gevura. For this reason, they must establish peace among them through judgments and ordinances, so that the Torah will be kept on all its sides. The world exists only on Din, for without the Din it would not exist. And for this reason, the world was created in Din and exists. The world leaves by judgment because the Creator created only the will to receive, an egoistic desire that wants to satisfy itself and feel good. There is nothing in reality but the desire to bestow, which is the upper force, and the desire to receive, which is the force of the creature. All that exists is the balance between these two forces. We can also see how it unfolds in the order of the worlds, in Yod–Hey–Vav–Hey, how it is rooted and hangs down to this world. This world, too, is built on four basic principles. If they did not exist it would not be possible to sustain the universe with all its stars, the earth, and life upon it. These four principles exist in atoms, and in the relations between the parts of the atom. The will to receive is the foundation. When we begin to work with that foundation in order to bestow, we permeate creation. We have never done this because we have always been using only those laws that are in us egoistically. Until now we have been following the path paved for us by nature. Now, for the first time, once we have come to the wisdom of Kabbalah, we are beginning to seemingly work against our nature. This is why this work is called “My sons defeated Me,” because we are seemingly going against the Creator. The Creator created the evil inclination and we turn it into a good inclination. We open ourselves up to a completely new reality. Only in this world are we feeling only our nature. As it is written in The Zohar, the corrections are through the correction of Gevura, which is why we become Gevarim, from the Hebrew word Hitgabrut (to overcome). That is, we rise above our egos and enter the world that is above the ego, the other world—the world of bestowal. The Book of Zohar is special because of the influence of the light on our correction. Never in history has there been another an event where ten great Kabbalists gathered, each corresponding to a different Sephira at the head of the system of governance. They assembled and wrote the master plan of governance and guidance of the whole of reality first-hand. In fact, they were in that source themselves. Therefore, when reading what they wrote, we draw on ourselves that light so it may sanctify us and bring us to the level of Bina, which is called “holy” or “sanctified,” meaning bestowal—love of others. This is when we receive our best weapon against our egos. Many are the people in the world whose minds are confused and they do not see truthfully in the Torah. Each day, the Torah calls upon them with love for them, yet they do not wish to turn their heads back and listen to her. In the Torah, a thing comes out of its sheath, appears briefly, and promptly hides. When it appears out of the sheath and promptly hides, the Torah does it only for those who know her and are known in her. … So is a word of Torah: it appears only to the one who loves her. The Torah knows that that wise of heart circles the gate to her house each day. What does she do? She shows her face from within the palace, gives him a hint, and promptly returns to her place and hides. All those from there neither know nor look, but he alone, whose guts and heart, and soul follow her. This is why the Torah appears and covers, and goes to her loved one with love, to awaken the love with him. When we need to reveal, we also need to conceal. And yet, it is particularly when we conceal that we reveal. This is the Torah—the Megila of Esther (the story of Esther). It becomes Meguleh (revealed) particularly in concealment. The more one conceals one’s ego, the more one reveals the place above the ego, where the Creator appears. This is the oppositeness that people do not understand. Our senses cannot perceive it because the technique of concealment and disclosure is built on oppositeness. What do the commandments that the portion discusses mean? All commandments are laws pertaining to the soul. Meat and dairy foods correspond to right and left, and observing the Sabbath pertains to the prohibition to touch the last part of the will to receive, which for now remains unattended to because we haven’t the strength for it. Only once we complete all of our corrections and reach the seventh millennium, after six thousand years—the six days of working on our corrections, our will to receive—we will reach the Sabbath, namely rest. On Sabbath we avoid touching desires that pertain to the seventh part. The portion describes humanity seemingly jumping a degree; what is that jump? When Moses and the people of Israel approach Mount Sinai, the nature they are in—which they must correct—appears to them. Today that state of required correction is gradually appearing before humanity, and many academic and scientific conferences around the world are discussing the correction that humanity is going through. Will new laws appear before humanity? What does it mean to see an opposite world? All the laws of Torah were meant only to explain how to discover laws that are opposite from us, how to move from love of self to love of others. This is the meaning of being opposite. Midrash Rabah, Devarim, Portion 11, item 11. Babylonian Talmud, Masechet Avoda Zarah, p 2b. Babylonian Talmud, Masechet Nezikin, Baba Batra, 10b.